Notes: "The Item and The Call were among the earliest newspapers of Philadelphia, the former boasting on its delivery wagons a circulation of 100,000 a day. 7th Street seems to have been a center of news printing. The Star was also published here, and a type foundry was adjacent to The Item." --OPEP, p. 80. Notes: The buildings. Down a side street the signs for The Collins & M'Leest [?] Type Foundry, Collins Printing House and F.L. Hoover & Son, Carpenters & Builders can be seen. 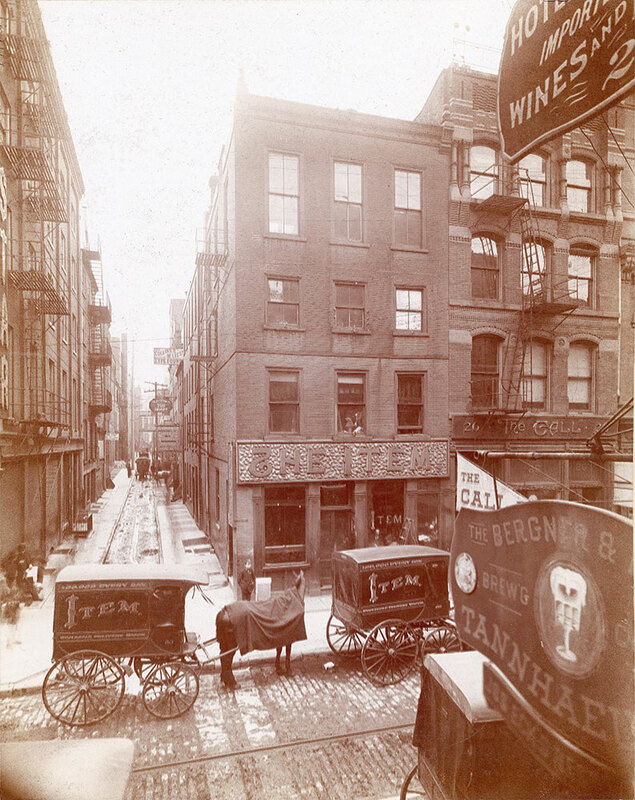 In the foreground are two wagons for The Item pulled by horses and a sign for a hotel and brewing company.